The Foundation for Promotion of Innovations has completed the selection of MARINET projects within the framework of the programs of “Development-NTI” and “Start-NTI”. 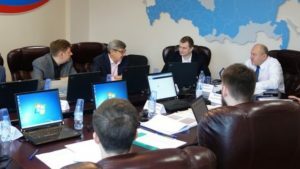 The competition committee of the “Development-NTI” program and the jury of the “Start-NTI” contest supported, respectively, 18 and 6 applications. This year the most of the R&D projects supported within the “Development-NTI” program are in the field of technologies for the ocean resources development – the means for exploration and monitoring of marine resources, as well as maritime robotics. They inlcude the Unmanned platform for performing hydrographic works, Robotic Search and Rescue System, Marine unmanned robotic device for geological and geophysical data collection, Multifunctional hydroacoustic scanner, Marine magnetic gradiometer and magnetometer, Multichannel electroprospecting streamer for marine engineering surveys and others.Under the “Start-NTI” program several projects by MARINET startup companies were supported: Ring underwater propulsor, Protective devices for safe operation of ship electrical equipment, OBN-Position appliance for bottom stations positioning, Yochting – maritime tourism market platform, Distributed fiber optic sensor for hydroacoustics and Technologies for monitoring of salmonids migrations.